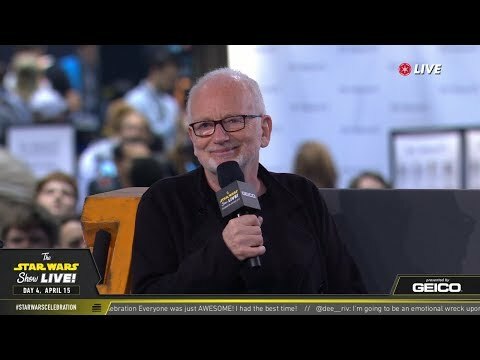 Very interesting interview with Ian McDiarmid it seems that Emperor Palpatine might not actually be in The Rise Of Skywalker at all as Ian states in the video above the laugh at the end of the trailer was from stock and he didnt know about it either until we did. Also he seems way to somber to be an active player in the new film when talking. Plus check out what he says at the end of the interview about the word tease as if to say dont get our hopes up with fan theories. Iâ€™m pretty sure everyone and their dogs seen the trailer by now this is a post to discuss Ian McDiarmids involvement with the new film. JJ talked in an interview about how fun it was to work with Ian. REDACTED in place of the name will do. I forgot the ability to edit thread titles is unavailable again. I must of missed that but bear in mind JJ has lyed in the past about his films take his Khan quote for example. Yes very true, weâ€™ll need to keep an eye out for future press info to confirm thats the case. JJ lied in that case so as to not spoil a reveal. I canâ€™t imagine a reason he would outright state he worked with an actor if that was not the case, and why everyone involved in the film would say heâ€™s back if thatâ€™s not true. If anything it seems more like Ian is the one playing coy here, probably trying not to give anything away about the nature of his role. JJ has said heâ€™s so glad Ianâ€™s presence on set didnâ€™t leak. Kathleen Kennedy said that having Palps back was always on the cards for 9.